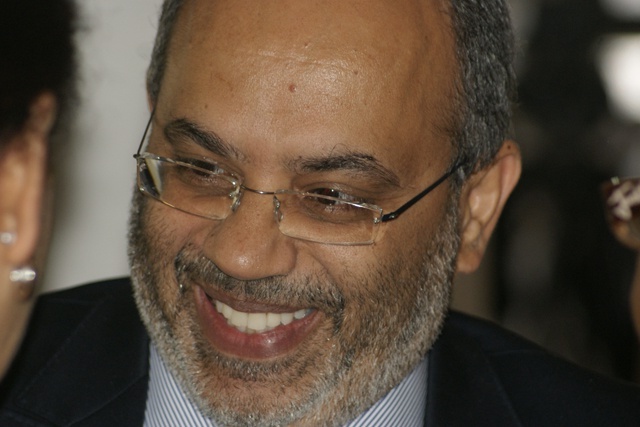 (Seychelles News Agency) - In this exclusive SNA interview specifically primed on the blue economy and Small Island developing states (SIDS), UN Under-Secretary General and United Nations Economic Commission for Africa(UNECA) Chief, Dr. Carlos Lopes opens up to our writer Wanjohi Kabukuru. Lopes,who is based in Addis Ababa, candidly speaks on the challenges facing Western Indian Ocean nations, sustainable fisheries, coastal management, deep sea mining, climate change and infrastructure development. SNA: The abundant fisheries resources within Western Indian Ocean (WIO) are exploited largely by the European Union purse seiners. What can WIO states do to alter this trend to balance the trade and enhance their food security concerns? Carlos Lopes: President James Michel of Seychelles said in a recent speech at the Small Island Developing States (SIDS) meeting in Mahe, Seychelles that “… when harvesting the oceans for fish and other resources, they seem to belong to everyone. But when it comes to dealing with sustainability of resources, of marine conservation or pollution, of piracy… the oceans seem to belong to no one.” This statement underscores the need for a truly sustainable global governance structure for the oceans and the seas. And this requires partnerships at the global and regional levels. The SIDS within the WIO must therefore consolidate their developmental efforts in sustainable management of ocean resources through strong and functional regional blocks. This will also enable them to lead in creating a new sense of ownership and promoting governance structures that ensures fishery resources are not only sustainably managed, but that they also benefits the wider coastal and island communities. Partnership between small islands is not a tradeoff. It is a critical survival mechanism. Climate change impacts will spill over beyond individual SIDS with considerable negative costs. Whilst SIDS tend to rely on international support, it is becoming increasingly clear that donor support cannot substitute a true burden sharing mechanism across SIDS as a way of insulating themselves from negative climate impacts. The ability of SIDS to manage both observed and projected impacts of climate change will depend on their willingness to develop a maintenance system that collectively seek to widen the opportunity space to allow for a collective strategy of reducing climate risks and taking advantage of potential opportunities in tourism and agriculture. SNA: There is a rush for offshore oil and gas exploration in the WIO region. Are there enough safeguards in readiness for environmental related accidents such as oil spills? What are the projections of effects of these extractive industries to SIDS and coastal communities? Carlos Lopes: Experts estimate that the ocean beds contain nearly 30 percent of the current known quantities of hydrocarbons. At the same time, we know that due to the rapid advancement in technology for resource prospecting and seabed mining, the need for effective environmental and social safeguards cannot be overemphasized. Again, the answer to this goes back to the development of a truly sustainable and enforceable global governance for the ocean space. Coastal communities derive their livelihoods from the ocean resources. Important too are the global public goods that humanity derives from clean oceans: supporting life through the generation of oxygen and absorbing carbon dioxide, nutrient recycling, and supporting 95 percent of global trade. Thus, offshore oil and mineral exploration must be undertaken within guidelines that ensures environmental sustainability and that the local coastal communities and SIDS economies do not lose out. SNA: In the entire Indian Ocean three Asian nations have been given deep sea mining contracts? Why has Africa missed out? Carlos Lopes: The existence of deep seabed polymetallic nodules, containing strategic metals such as cobalt, nickel, platinum and molybdenum as well as rare earths, has been known for many years. Developments in both technology and legislation, the latter spearheaded by the International Seabed Authority (ISA), have led to greatly enhanced interest in these strategic resources, driven the need for long term security of supply, especially given the competition for land based mineral resources. Work plans for exploration of these resources were considered and approved by the 19th session of the ISA, held in Kinston, Jamaica on 15- 26 July 2013. At this meeting a total of six bids for exploration were considered. The Session approved two bids from the China Ocean Mineral Resources’ Research and Development Association (COMRA) and Japan Oil, Gas and Metals National Corporation (JOGMEC). Consideration of the remaining four was deferred to February 2014. These are Ministry of Natural Resources and Environment of the Russian Federation, UK Seabed Resources Ltd (UKSRL), the Government of India, and Ocean Mineral Singapore Private Limited (OMS). Notably, although 44 African countries are members of the ISA, only 9 were present at the 19th Session. And more important, no African company bid for the exploration contracts. The main reason for this appears to be the fact that there are no African exploration companies with deep seabed exploration technologies as well as deep pockets to sustain such activities. As a matter of fact, even for land based mineral resources, much of the exploration is currently done by foreign owned companies. Yet, land based mineral resources require lower levels of both technology and budgets. A secondary reason is that Africa has yet to develop uses for these strategic metals, exporting any production from land based resources as commodities. Given the lack of capacity, African countries are unlikely to bid for the contracts directly, unless they do this in partnership with foreign entities. However, it is necessary that WIO and SID countries with significant amounts of these offshore resources continue to be part of the ISA conversation so that these contracts directly serve their development interests. SNA: The SIDS within WIO are currently under siege from climate change threats? Any climate change adaptation intervention from UNECA for SIDS? Carlos Lopes: The adverse effects of climate change and sea level rise constitute immediate threats to the sustainable development of SIDS. The effects of the progressive warming of ocean surface temperatures are already being experienced through the increased frequency and intensity of extreme weather events such as heavy storm and cyclones. Tourism, fisheries and agriculture which are the main economic sectors in SIDS are likely to be negatively impacted by climate change. UNECA has started to support the climate change adaptation work for the SIDS through a synthesis of knowledge related to climate change impacts on the SIDS. This will help to comprehensively put together the existing knowledge and explore new, innovative and transformative climate resilient development pathways that will inform policy and strategies. We are also working on partnerships with other UN and national partners, to support the implementation of the previous decisions such as the Barbados Programme of Action and the Mauritius Strategy of Implementation. And you reckon that this is a very important process that leads to the International Conference on SIDS scheduled for September 2014. We are also exploring direct partnerships with the SIDS to enhance capacity in developing policies and strategies related to climate change response; and capacity in climate data and information systems to help early warning systems and disaster risk reductions. SNA. How has climate change affected the food security demands of SIDS and coastal communities within WIO? Carlos Lopes: Climate change has direct and indirect impacts on food security. By its very nature, food security is much a function of domestic production as it is of international trade in food commodities. Consequently, the impacts of climate change manifested through rise in sea levels and increase in extreme events will directly lead to reduced fish resources and reduced agricultural production in the SIDS. Foreign exchange that results from agriculture, fisheries and other economic sectors like tourism will also be impacted thus indirectly impacting the ability of the SIDS to import food in the international market. Unfortunately, while the contribution of the SIDS to climate change is nearly insignificant, they bear the brunt of its impacts due to their inherent high vulnerabilities. It is therefore imperative that the international mechanisms provide sufficient support to the SIDS to build resilience to the impacts to climate change and assure food security to their population. In addition, the global economy and globalization must be made to work for the SIDS – by specifically addressing their insularity through regional partnerships and promoting sustainable investments that build their resilience to climate change. Achieving food security in SIDS is highly contingent on high performing monitoring regimes that can detect floods, high spring tide floods among others. SNA: There is a rush for newer and larger seaports where previously artisanal fishermen thrived. These include: Lamu, Mwambani, Nacala, Gwadar? How will these major infrastructure changes affect trade in WIO? Carlos Lopes: Oceans support 95 percent of global trade. Although many SIDS in the WIO and coastal countries in Africa could potentially significantly increase their share of this trade, but the weak infrastructural development has been a major drawback. Now, it is fair to argue that expanding sea ports comes with significant environmental consequences, especially to the artisanal fishing communities and biodiversity. But it is also true that without investment in such infrastructural development, Africa’s transformative development agenda will not be realized. The expansion of sea ports and other transport corridors within the continent of Africa and the SIDS will enhance their active participation in global trade as sellers and buyers of goods and services. This opens up new economic opportunities for countries, communities, households and populations at large. Of course, like in the case with all developmental activities, expansion of seaports must be done with strict adherence to the international standards of environmental and social safeguards. SNA: How can WIO nations harness the potential of artisanal fishermen to reduce poverty in SIDS (Moroni, Lamu, Tanga, Nampula, Mogadishu and Antananarivo) and other coastal communities? Carlos Lopes: In 2010, global fish supply stood at 148 million metric tons, 60 metric tons of that of which come from aquaculture, the rest is capture fish. FAO estimated the total value of fish that year at USD 217 billion. About 128 million metric tons were destined as food for human consumption. What does all this mean? Fisheries are a major component of global human food security as well as an important tradable food commodity. The focus in improving the sustainable harvesting and management of fisheries resources needs to focus on the entire value chain. And the artisanal fishing communities are at the very core of the fisheries value chain. The principles of fair trade, sustainable production and management should be embraced to ensure that the artisanal communities get compensation commensurate with their labor as they are at the core of the fish products value chain. Improvement in ocean governance systems and provision of appropriate technologies in harvesting and management of fishery resources, and investment in value addition are all critical components of the value chain approach. At the end of the day, the artisanal fishing communities are the gate keepers of the fishery resources that are so critical to the global food security. Before his appointment as UN Under-Secretary General and UNECA Chief, Dr. Carlos Lopes had been based in Geneva as the Executive Director of the United Nations Institute for Training and Research (UNITAR). He had also served as director of the Turin-based UN System Staff College. He served in these two posts between 2007 and 2012. The former University don who had taught in top universities in Rio de Janeiro, Mexico, Uppsala, Zurich, Sao Paolo, Coimbra and Lisbon served as director of political affairs in the UN Secretary General’s office between 2005 and 2007 with the title Assistant Secretary General. Lopes who holds a PhD in history from the University of Paris 1 Pantheon-Sorbonne had served in senior positions in diplomacy, planning and research in his native Guinea-Bissau before joining the UN in 1988.